InM participated in six-day long ‘Development Fair 2017’ of PKSF starting on 29 October 2017 at the Bangabandhu International Conference Centre in Dhaka. A total of 89 partner organisations of PKSF displayed different products produced by grassroots participants of different PKSF programmes. 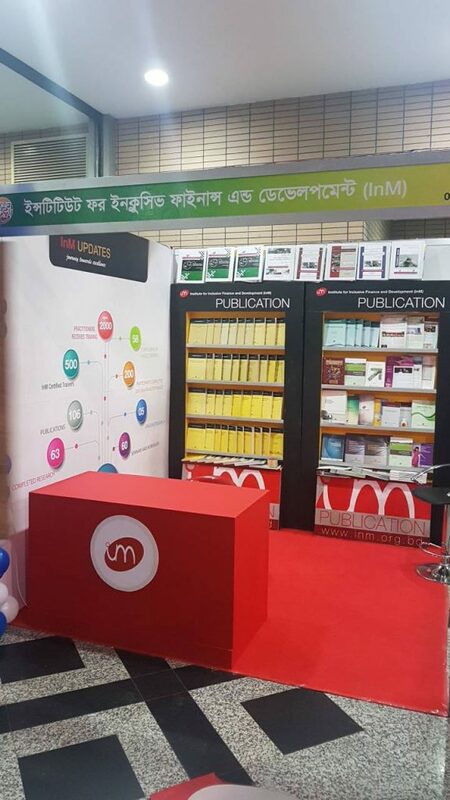 In the fair, the InM stall exhibited its publications and other activities. Five seminars were also organised on development issues of Bangladesh. and PKSF were held. 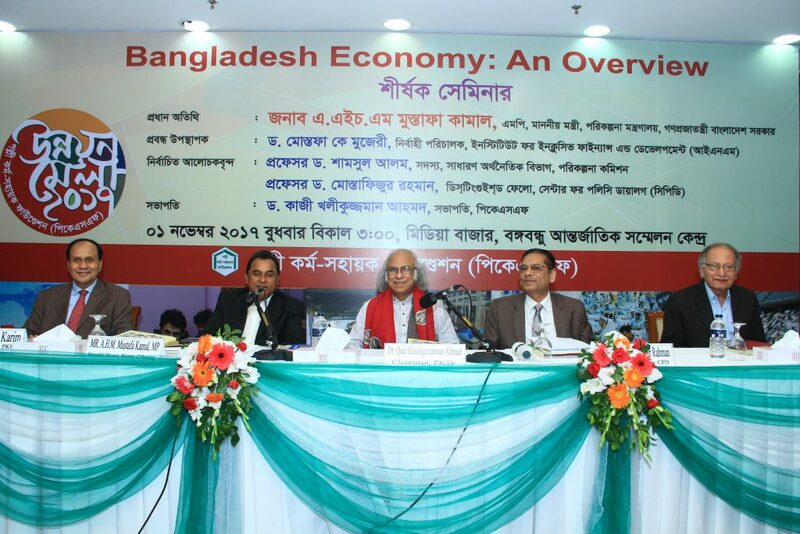 Dr. Mustafa K. Mujeri, Executive Director, InM presented the key-note paper on ‘Bangladesh Economy: An Overview’ in one of the seminars.